How do I cite the Homeric hymns? The Homeric hymns refer to poems that were once attributed, mistakenly, to the ancient Greek poet Homer. They are Homeric only in the sense that they were written in the same meter as Homer’s poems. When citing the Homeric hymns, treat them as a coherent collection of anonymous works. 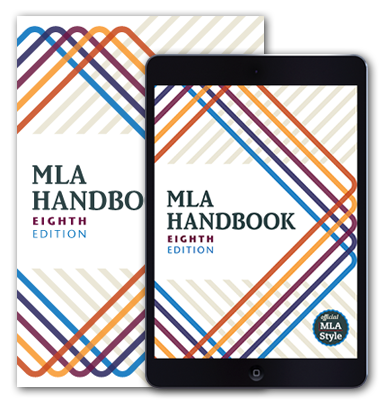 According to the MLA Handbook, titles of works that are contained in a larger work are enclosed in quotation marks (68). One of the Homeric hymns to Demeter gives the goddess the epithet “lady of the golden sword and glorious fruits” (“To Demeter” 289). “To Demeter.” Hesiod, the Homeric Hymns, and Homerica, translated by Hugh G. Evelyn-White, William Heinemann, 1920, pp. 289–325. Note that it is common for publishers to italicize the titles of the Homeric hymns in scholarly discussions of the hymns. But unless you are directed otherwise by a publisher or a scholarly journal, enclose the titles in quotation marks when citing your essay in MLA style.